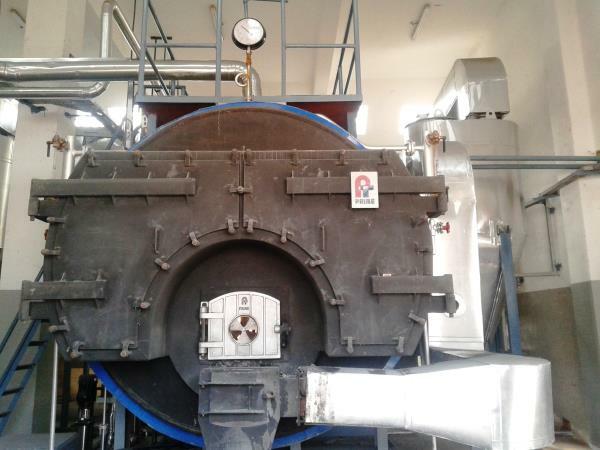 Mr Ajit Das, our Managing Director, a graduate Chemical Engineer from Indian Institute of Technology, Kharagpur, India has got more than 35 years experience in Boiler and Thermal Engineering fields and have served major players in India. 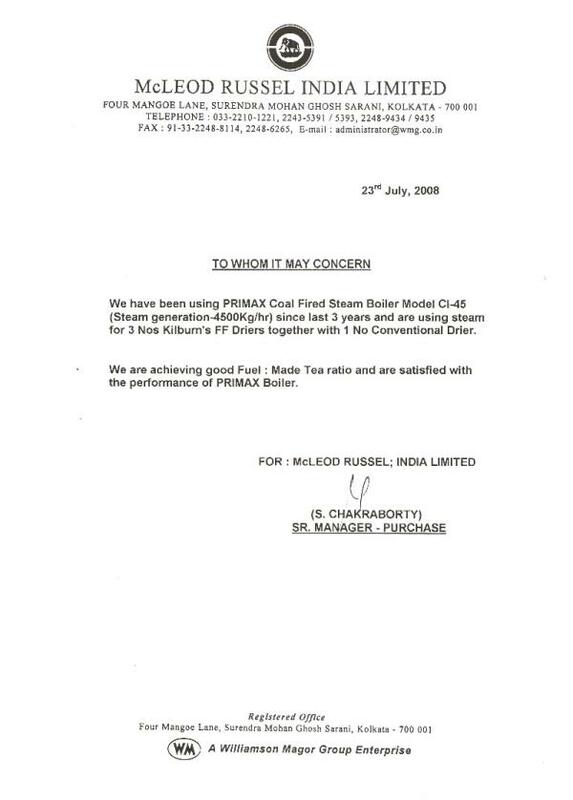 Under his leadership, Prime Thermals Pvt Limited has established a firm foothold as a Boiler maker not just in India, but also in Africa, Bangladesh, Sri Lanka serving industries like Tea, Textiles, Animal Feed Plants, Breweries, Rice Mills, Chemical Plant, Solvent Extraction Plant etc. 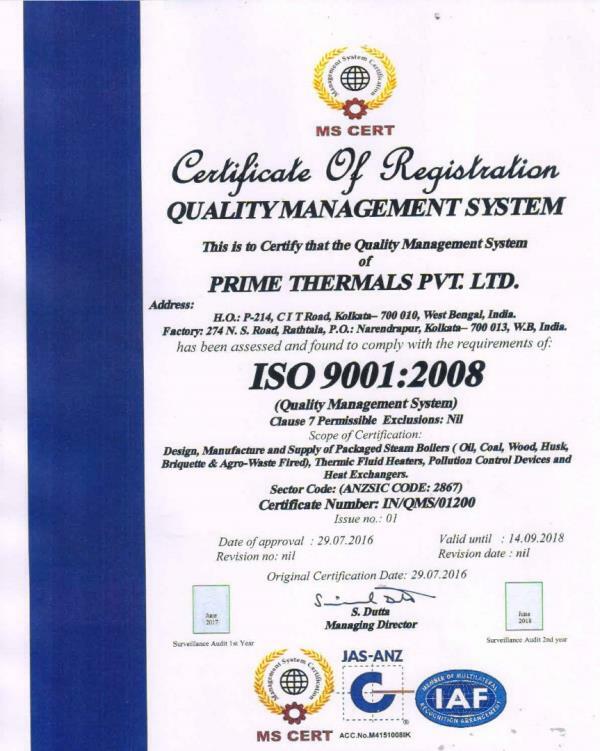 His innovative method of finding total solutions has earned accolades of all people concerned with above industries and repeat orders from these satisfied clients speak about his sheer professionalism in the field of Thermal Engineering and Heating System. Our manpower resources pooled from specific manufacturing industries like Boilers, Turbines, Material Handling Plants, Electrical Systems etc, have vast experience behind them in their respective fields. 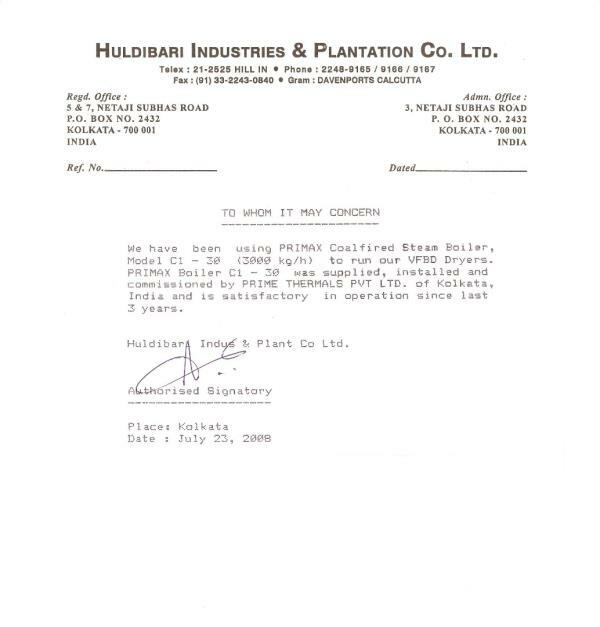 Plants of their creation are strewn throughout India and abroad that have withstood years of operations to the entire satisfaction of the clients. We also have a band of coworkers attached to them so that delegation runs smoothly as conceived and delivering timely completion of project as per agreed schedule. Our engineering office is equipped with latest package of Calculation Software dealing with Boiler Package, Power Plants, Electrical Design making it possible for us to finalise a design or an approach in an iterative way thus bring forth a most cost effective solution to our esteemed clients. 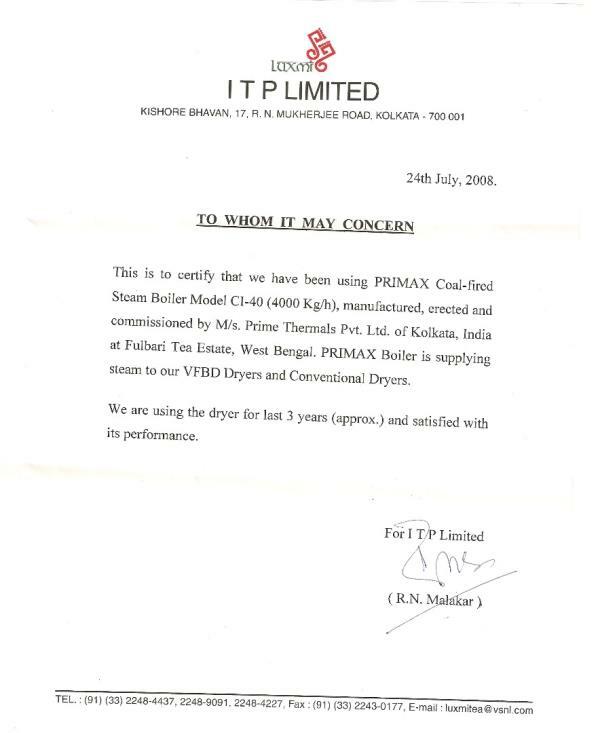 Manufacturing facilities with shop testing and IBR (Indian Boiler Regulations) Statutory inspection takes place at its workshop in Narendrapur, West Bengal, near Kolkata, India. For export work backed up by a strict quality control regime we manufacture pressure parts from finest grade of Boiler Quality steel and tube elements as per international specification and standards. 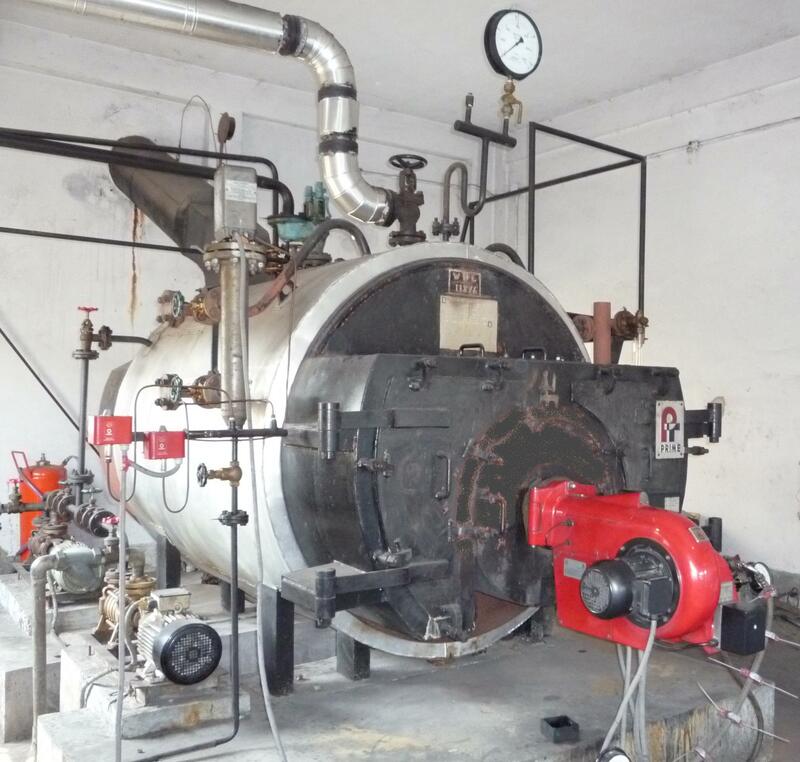 We out source bought out items like Burners, Fans, Pumps, and controls to commensurate with the high design and reliability standard for the Boilers to give uninterrupted and trouble free operation year after year.